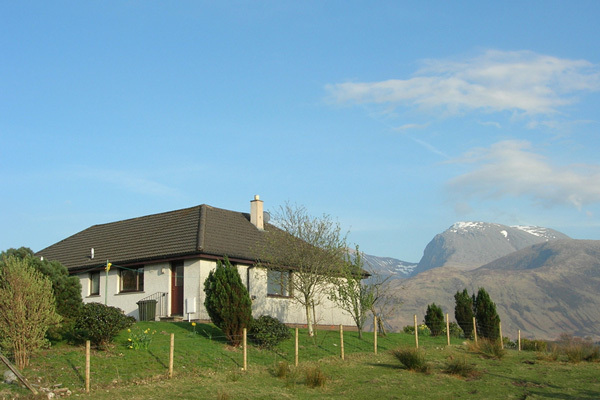 Spacious bungalow sleeping 7 with fine views across The Caledonian Canal to Ben Nevis. Just four miles from Fort William. Situated just off "The Road to the Isles" and set in its own grounds on a working croft, this bright and spacious bungalow enjoys magnificent views across the Caledonian Canal to Ben Nevis and the Nevis Range ski slopes. Located just four miles from Fort William, with the local shop less than a mile away and the nearest hotel’s bar/restaurant within walking distance, it is an ideal base to explore this wonderful part of Scotland. Up to two pets are welcome to join you. 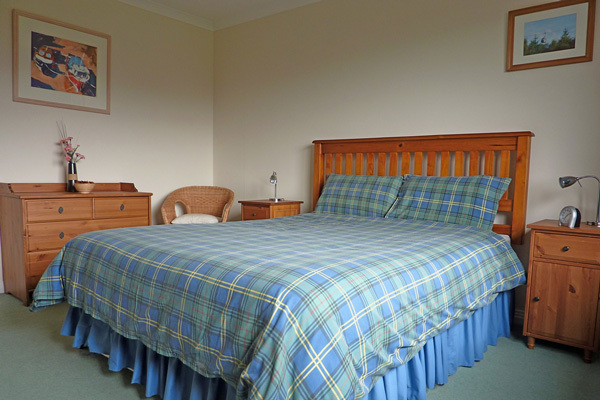 Lapwing Rise sleeps up to seven people in four bedrooms and has two bath/shower rooms. The comfortable lounge has an open fire and the house is heated by oil fired central heating. The kitchen and utility room have a washing machine, tumble drier, dishwasher and fridge freezer as well as a breakfast table with stools. The separate dining room has a table seating eight.